· “Goal-oriented” learners use education or training to accomplish a specific goal. This is the most common reason for adult learning. A specific need is identified and participation in the appropriate program or seminar will address the need. · The “activity-oriented” learner is motivated by the potential for social contact with others. The student views training as a way to connect with other members who have mutual interests and interact with them. · A “learning-oriented” learner pursues knowledge having a passion for learning. Most students in this group are considered avid readers, enthusiastic participants in groups and eager to take classes for personal educational enrichment. · To be vibrant, dynamic source from which well-trained leaders can continue the practice of education, coaching and mentoring. · To provide members access to some the finest safety, professional and personal, education and training in the world. This is the education and training they would have to pay thousands of dollars for somewhere else. The University’s School of Officer and Member Training workshops have been designed specifically to help current and future leaders become effective, while having some fun in their leadership positions. All training events will be interactive and given by knowledgeable, trained instructors motivated to work together to achieve the organization’s trademark mission of FUN, SAFETY, and KNOWLEDGE. Members and officers can develop the skills needed to support their chapters making gatherings and special chapter events to be efficient, effective and enjoyable. 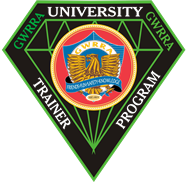 GWRRA’s Membership Enhancement and off-bike Rider Education workshops are now integrated into the School of Officer and Member Training. 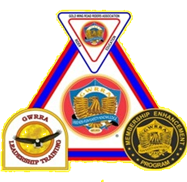 The Gold Wing University School of Rider Education and Safety will include all on-bike courses, Medic First Aid (MFA) training and Motorist Awareness (MA) workshops continuing to offer members opportunities to become more proficient and prepared on the bike and off. More information can be found on the Rider Education page of this website. or call 336-685-1025 to plan a University event for your chapter. Encouraging participation will enhance your chapter’s life!!! Who says learning can’t be FUN! !